Truax SAGE Direction Center DC-07 (1957-1967) - A Cold War SAGE System Direction Center first established in 1957 on Truax Field, Madison, Dane County, Wisconsin. Named Truax SAGE Direction Center after the location. Assigned a Sage ID of DC-07. Deactivated as a SAGE Direction Center in 1967. 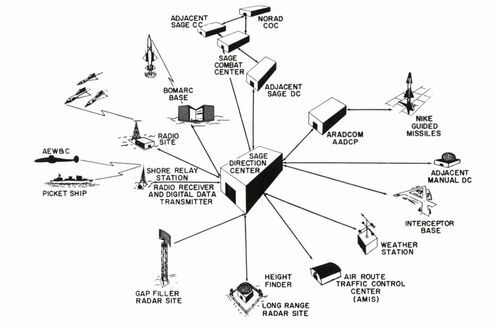 Established in 1957 and became operational on 15 Feb 1960 as Truax SAGE Direction Center DC-07. The SAGE Combat Center was deactivated on 30 Jun 1966. The SAGE Direction Center was deactivated on 31 Dec 1967. Sage Direction Center and the SAGE Combat Center blockhouses still exist and have been modified and repurposed near the present day Madison Dane County Regional Airport in Madison, Wisconsin.